It’s a challenge! Are you a leader in your organization but sometimes frustrated with getting things done efficiently and effectively? Do you sometimes feel you are in a struggle with well-intentioned employees, your colleagues or even your own boss to move projects ahead smoothly and on-time? That’s the value of leadership development coaching. As a certified executive leadership coach, Kit partners with you to strategically take your leadership skills up to that next powerful level. Just imagine yourself being able to consistently engage and influence those you work with to give their best each and every day toward the desired outcomes of your company or organization. That is leadership success! 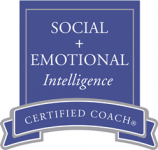 Additional leadership assessments as indicated including the Myers-Briggs Type Indicator (MBTI); the Social + Emotional Intelligence Profile (SEIP); the SEIP 360 Version; the DiSC behavioral assessment and the StrengthsFinder 2.0. Focus is on career excellence including maximizing performance and value to organization. Contact Kit for more information about this program. All successful leaders are eager to learn what they are doing right, what is not going well and how to improve their impact with others and their companies. Personality and behavioral assessments are often the ideal place to start because they provide objective feedback. Get your toes wet with one or several of these popular leadership assessments. Learn how you as a leader shine, your areas of growth and even your blind spots. Use this knowledge to develop an action plan in your coaching sessions with Kit. And then, if you are ready to take these action steps to the next top level, apply your fee to your first month of the individual “Leadership Development Coaching”. Skill Sets Include: Conflict Management; Presentation Skills; Time Management Skills; Networking Strategies, Promotion Preparation including Branding, Portfolio Development & Interviewing. “Kit is an outstanding coach and career strategist. She understands the nuances in the corporate environment and worked with me to transition into a new position with new responsibilities and dynamics. I highly recommend Kit and am confident that anyone who works with her will be stronger and more focused within their career.” I. M.